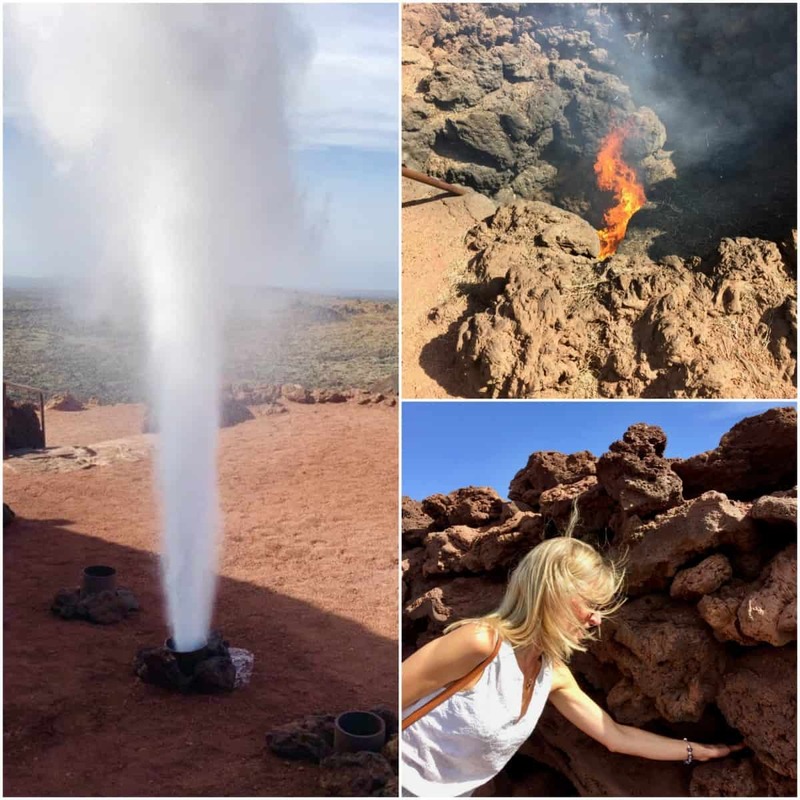 Lanzarote is renown for great beaches and year-round sunshine however for first time visitors we highly recommend you ditch the beach and head to Timanfaya National Park for a guaranteed memorable day ashore! All of the major cruise lines offer family friendly shore excursions which often include a fun camel ride and the chance to get close to some of the islands 300 volcanoes. Note – We are big believers that you don’t need to book a shore excursion in every port of call. (Read here for more info – Are shore excursions worth the money?) 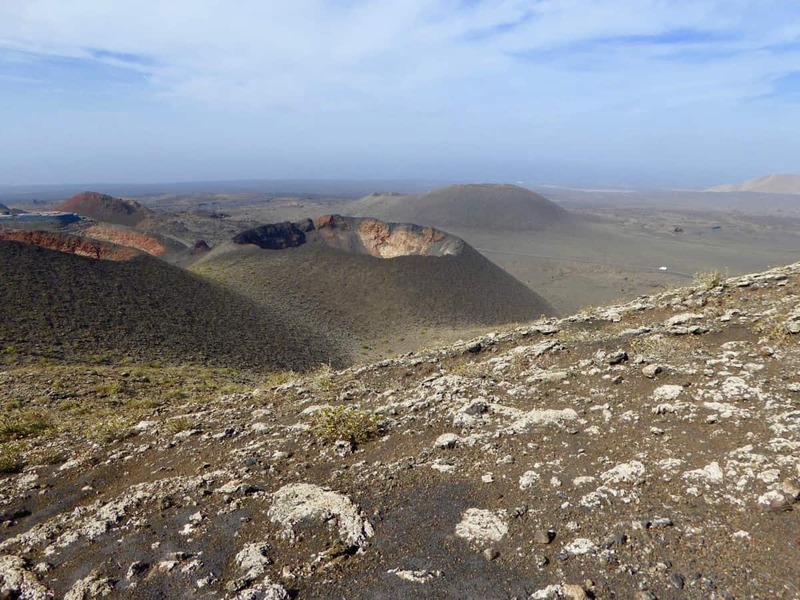 If you wish to experience the best of Timanfaya National Park however you should definitely consider booking a shore excursion. By exploring with a knowledgeable guide you will see the very best of what this incredible and unique volcanic island has to offer. There are also several attractions in the national park which are only accessible by tour coaches (the Route of the Volcanoes) and/or with a guide (Cueva de Los Verdes – the lava tunnels). P&O Cruises offer several child friendly excursions – The most popular one is ‘Camel Ride and Fire Mountain’ (Timanfaya National Park). ‘Hidden Lanzarote’ is great for families who wish to visit the stunning Cactus Garden – Jardin De Cactus. For adventurous families P&O also offer – North Island 4×4 Adventure, Sea Trek (a cross between scuba diving and snorkelling for over 8’s only) and Trekking on Moonscape (for over 7’s only). Princess Cruises offer a similar excursion to the national park including a camel ride. They also offer ‘Casa de Manrique, Jameos del Agua, Garden & Museum’ which is a great choice if you wish to visit the four main attractions designed by late artist César Manrique. For adventurous families Princess Cruises offer a ‘Jeep Safari’ for unobstructed views of the preserved lava fields, and dramatic rock formations (for over 12’s only). Here are our recommendations for family fun if you’ve visited Lanzarote and the Timanfaya National Park before, or you just don’t fancy a day surrounded by volcanoes, camels and cacti! 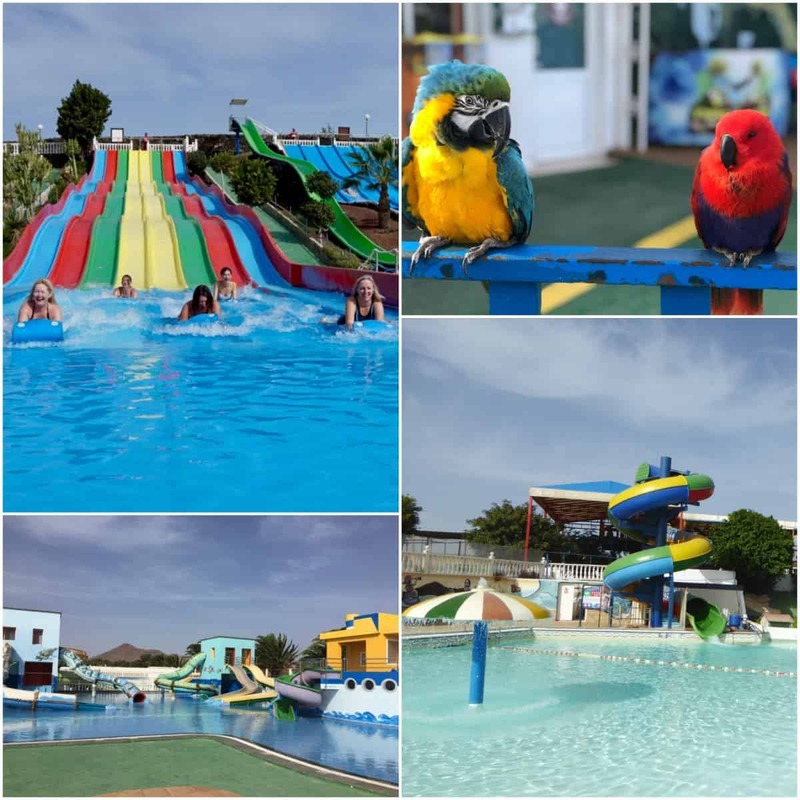 Aquapark Costa Teguise has lots of attractions for kids, especially younger children with fun toddler slides and shallow pools. Older kids will enjoy racing down the Aqua Racer (see below) and the thrills of the Kamikaze, Black Hole and Hydrotub rides. In the summer season the park also offers paint balling, zip lining and an adventure park circuit for racing electric cars and so even kids who are not particularly fond of the water are well catered for here. (Note this park closes mid Nov – beginning of April). Rancho Texas, is a zoo and water park with several shows daily featuring birds of prey, sea lions, dolphins and cockatoos. It’s a immaculately maintained park with beautiful cactus gardens, a variety of animals, entertaining shows and a water park. 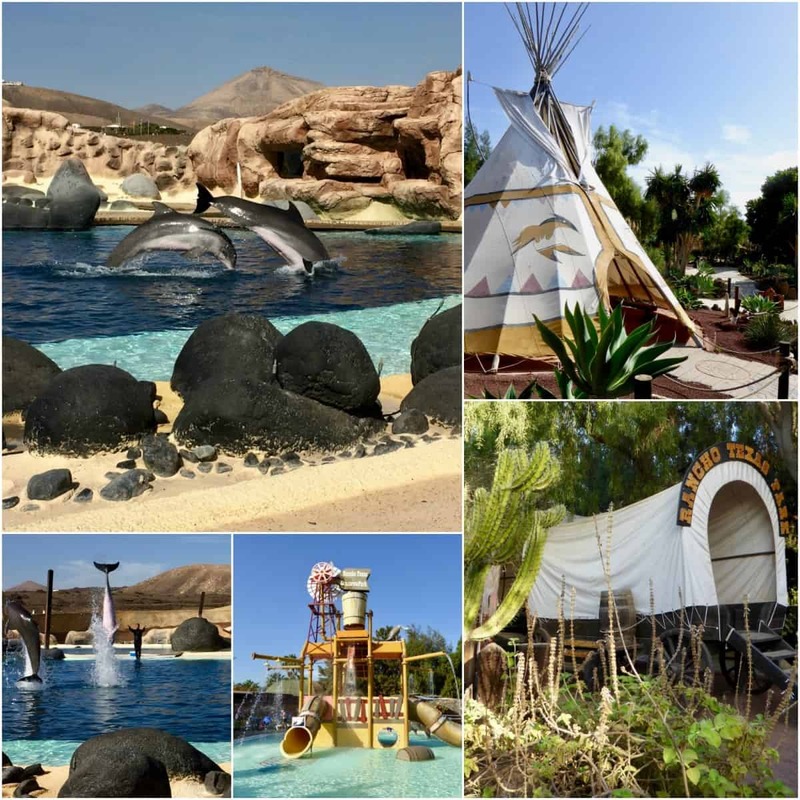 (This water park is much smaller than Aquapark Costa Teguise however it has something to offer kids of all ages with a big water play area, huge pool and fun water slide). Open daily, year round. Families who love good food are spoilt for choice by the unique and funky restaurants and dining establishments Lanzarote offers. Check out 5 Unique Restaurants in Lanzarote if you fancy dining in a cave, eating food cooked by the heat of a volcano or a retro hot dog at an outdoor movie theatre. 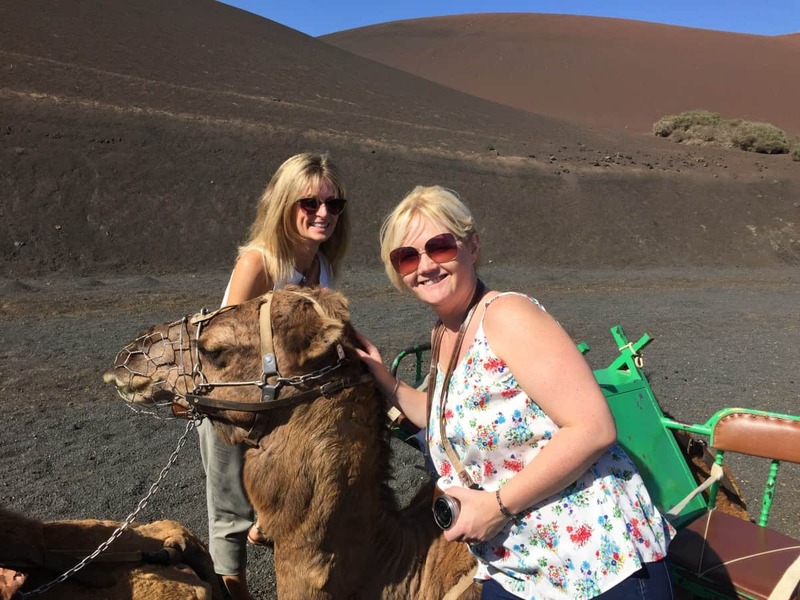 Disclaimer – Our editors, Lisa and Sarah, were invited to visit Lanzarote by BritMums and the Lanzarote tourist board in returning for promoting the family attractions on the island. All expenses were covered for their stay. Seriously, who knew there was so much to explore on Lanzarote and it’s all so accessible for kids of all ages. Great post.